This is awesome, Can't wait until people start sharing things. It is in the database xD. Ioth Xia is the new home world of the Moltinian Empire after the cataclysm on their original home world, After searching many galaxies and even more stars they finally found a world they can call home. 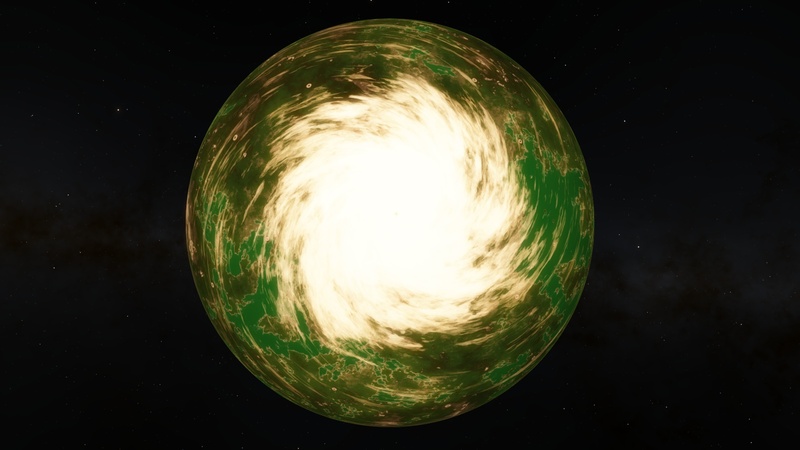 The world was chosen due to it being very similar to their original home world(earth), It was also chosen to start researching the continuous void nearby(Edge of the universe) after discovering it during their search. They are attempting to rebuild their civilisation and once again grow to become a dominant force in their space. I have a problem with SDD, I can't seem to edit the "descr" in the code block, Could that be fixed? I have no idea about java or how the program works. Other than that its actually an awesome idea and can't wait to see it fruition. 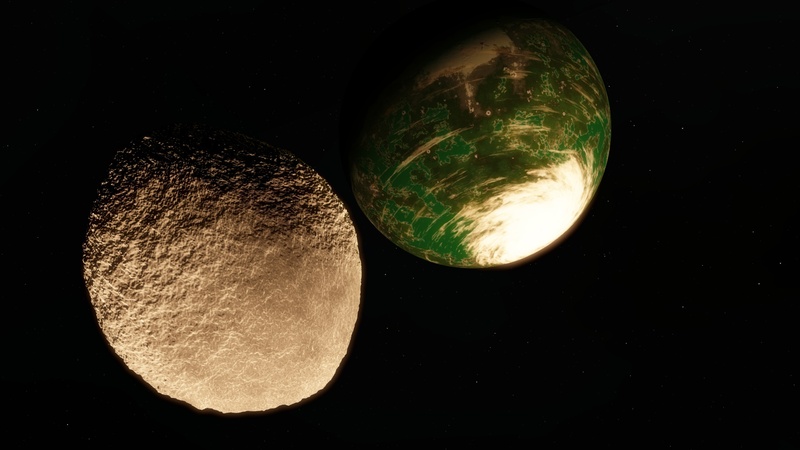 EDIT: I have also named each planet in the system, I'm working on naming ever major object and then recreating it in Universe Sandbox. 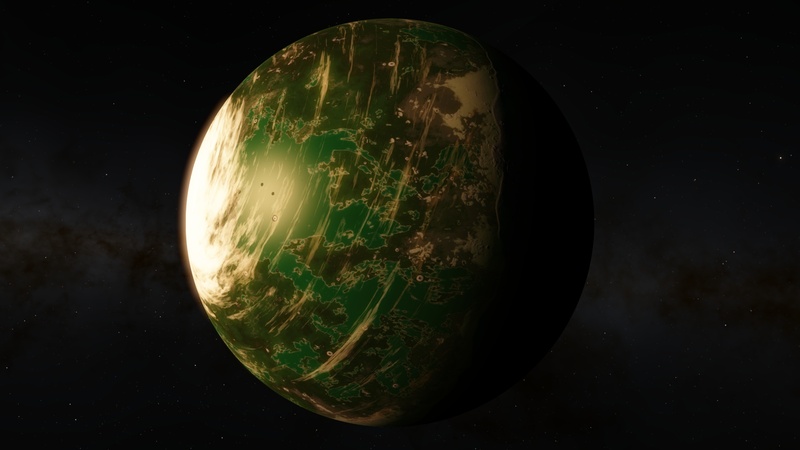 EPS 77 Salari is a Desert Terra planet with small salar lakes. The surface of the planet is similar to the Atacama Desert. 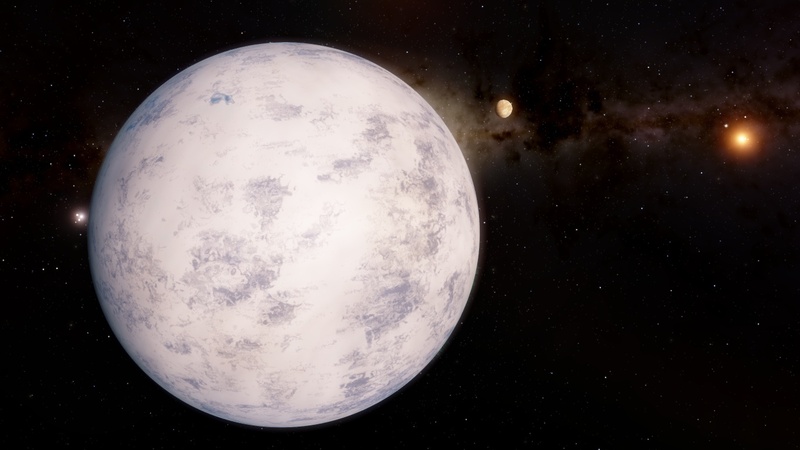 With a temperature of 388K and a larger gravity force, it has no chance of sustaining life. I also have a new world, This is an interesting one. 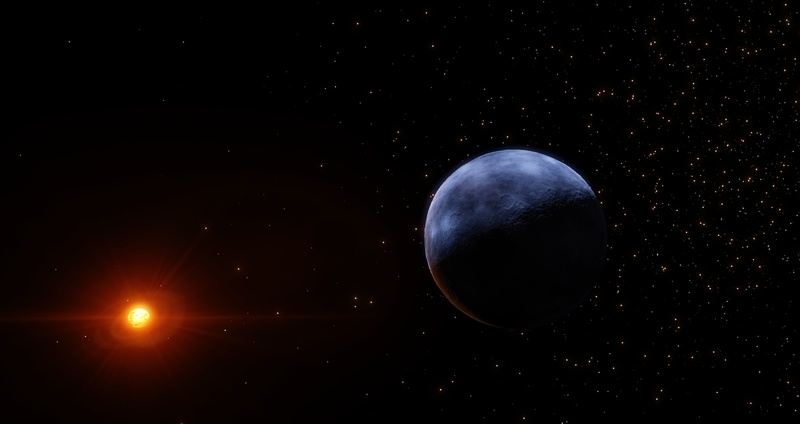 The parent star is a brown dwarf in orbit of 2 larger stars, However the brown dwarf in my opinion doesn't classify as a brown dwarf and just a overly warm gas giant. The image is of 2 planets evaporating around the brown dwarf and creating beautiful red clouds. I also plan to write a story about the Moltinian Empire in this galaxy and save the location in SDD. Yes, I have DoctorOfSpace's pallets. Still looks like a desert though. It's awesome because i rarely use Star Browser and I didn't used it in this situation. Its name is Dahlak, who found it? So are we sharing intresting discoveries here or what? Anyways, I made an instresting find today. It's a Hot Selena (Dwarf Planet) trapped between a Bright Red Giant and a Blue Main Sequence Star. The planet has no orbit but spins clockwise which causes the Red Giant to heat the bottom to a desert like climate. However the side illuminated by the Blue Star and the shaded side stay frozen. Now I'm a complete nub to Space Engine but this is a pretty dank discovery is it not? Mind sharing the system code number or posting a screenshot with the GUI so the rest of us can find it? This is planet Sugei. From the Japanese sugei or sugoi, for Amazing. 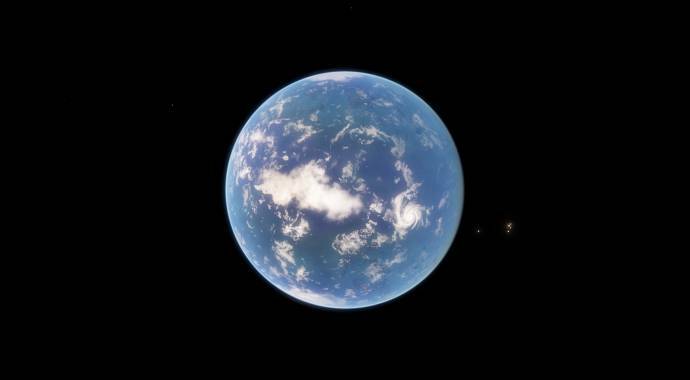 This planet has life; terrestrial and marine, and 1 moon. The moon is named Meek, for its stature compared to Sugei. 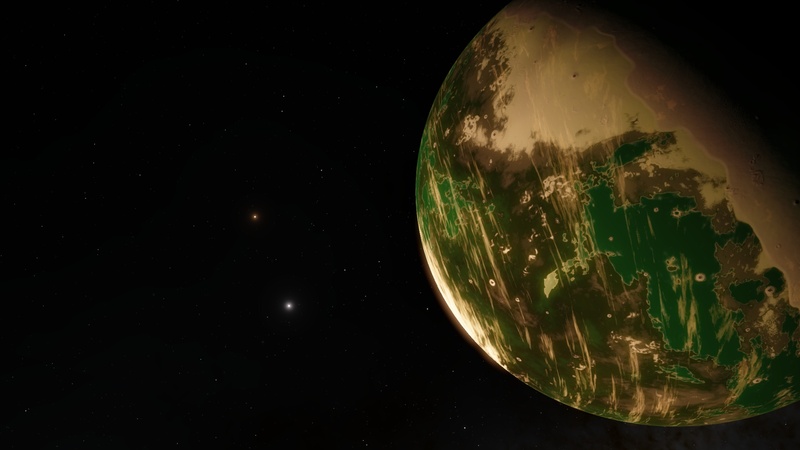 This world appears to be tidally locked, with a single massive storm on the bright side of the planet, dominating most of the surface, and a very vibrant shade of green. 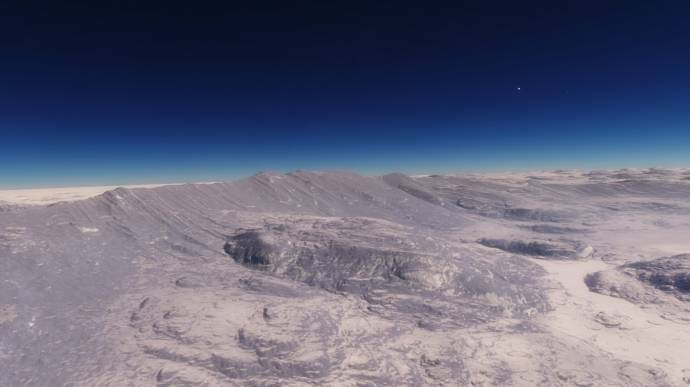 The rear of the planet appears to be encased in ice. You can see the divide. In this image you can see its moon Meek, and the star Polaris. I haven't done the database thing yet. The database might well need to be redone from scratch thanks to the change in the generation parameters in 0.974 Patch 7. Wow... 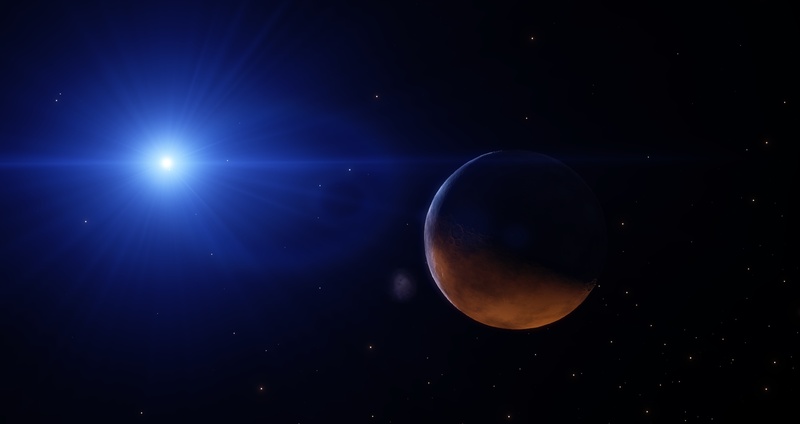 I just found a system that evolved life on 2 celestial bodies, a planet and a moon of another planet! How can i see all planets and systems from database in game? I can´t see Alpha Vannel System or other planets in game. Oh, it seems like in the version you're using that planet doesn't exists... I've tried to type in the search box some other names like Dallaxela and when I press Enter it gets selected just fine. 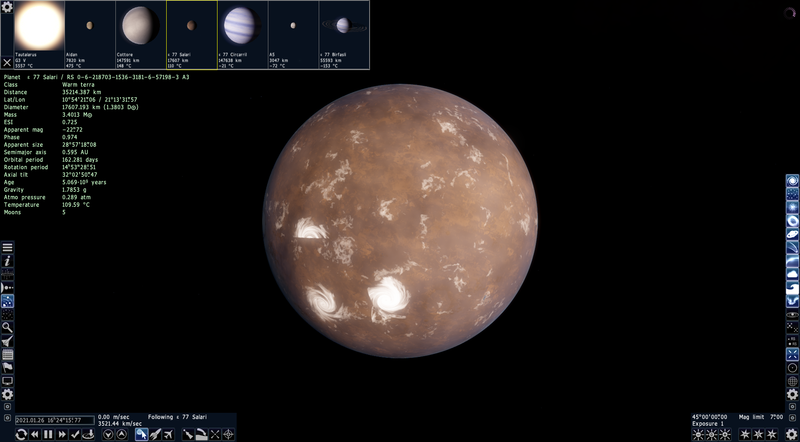 I don't know, if you really wanna see that planet you can use the older version of SE, and tell us if you can find it. Yeah, you're so right. But now there are 467 object in the database, I don't know... If everyone agrees with resetting the database it's just fine. if i open sesdd.jar with Java Platform SE binary, does not work. 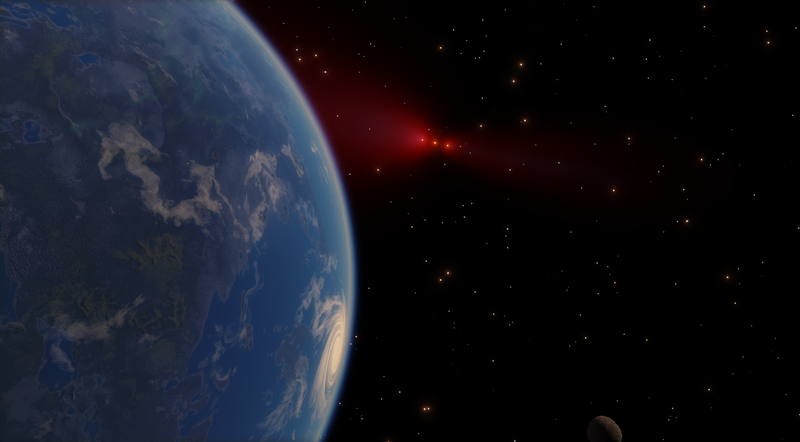 Impossible reading SpaceEngine data. Put these files into your ./system folder. Can you update it for Version 0.9.7.4? I don't know what's the problem there, I always use it with Version 0.9.7.4 and it works normally. Could you make a screen of your "system" folder into SE install folder?